The Otis Instruments, Inc. Model OI-675 Electrochemical Sensor Assembly is a versatile system with the ability to detect a variety of gases. The OI-675 Sensor Assembly’s key feature is magnetically triggered non-intrusive calibration. With all adjustments made at the assembly, one-man non-instrusive calibration is quick, easy, and allows the device to remain Class I, Divison 1, Groups C & D certified while in the field. The OI-675 incorporates any “4” series electrochemical sensor element and the OI-352 two-wire loop (4-20mA output) amplifier card. 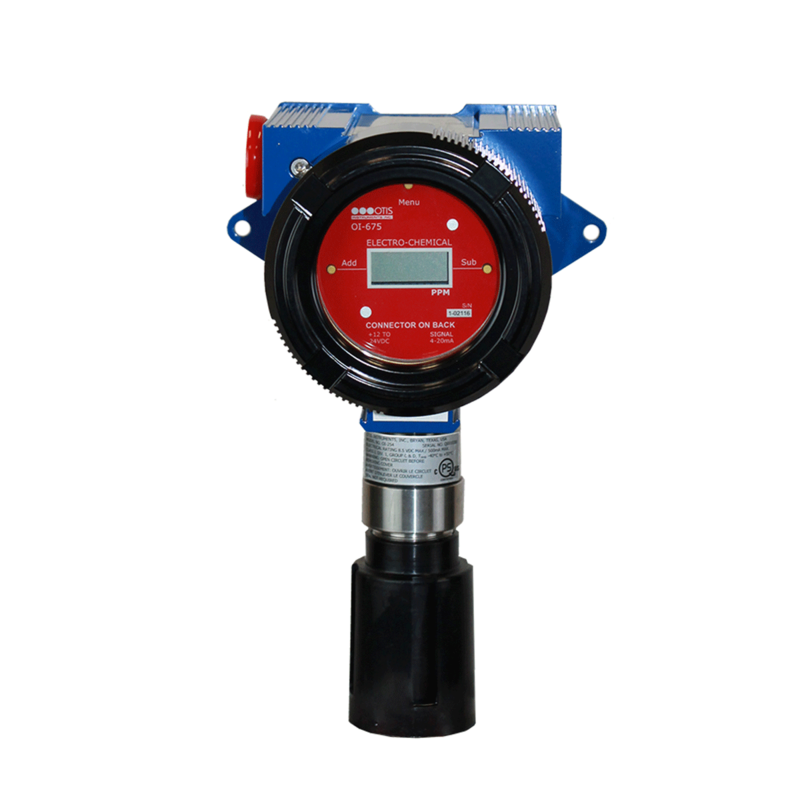 An extended life-expectancy, paired with the ability to withstand extreme climatic conditions and harsh environments, make the OI-675 a flexible and dependable safety tool for gas detection.